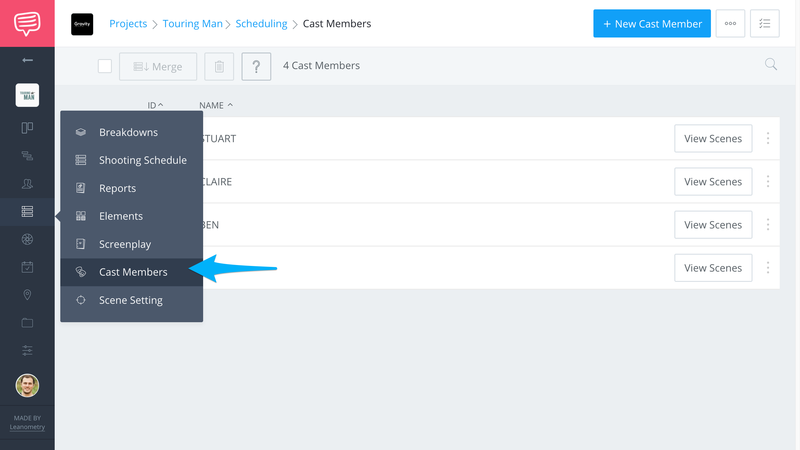 Learn how to print or create a PDF of your Cast Member List. 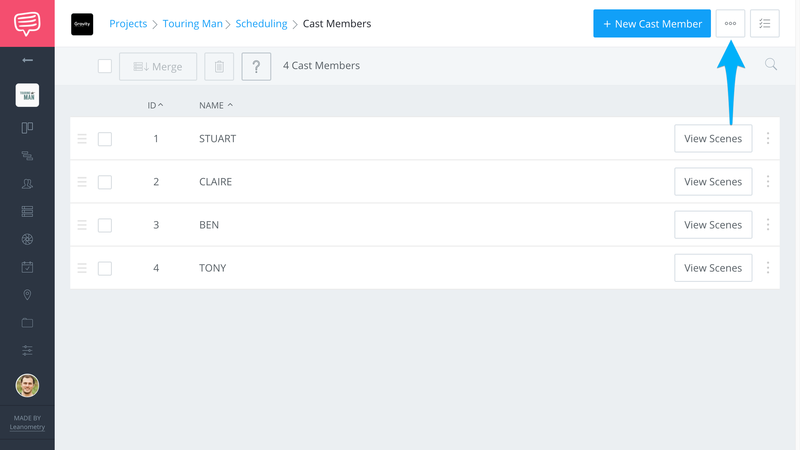 StudioBinder automatically generates Character Lists based of scene dialogue, but users can add characters manually as well. After all your characters have been added, print or save a PDF of your Character List by following these steps. 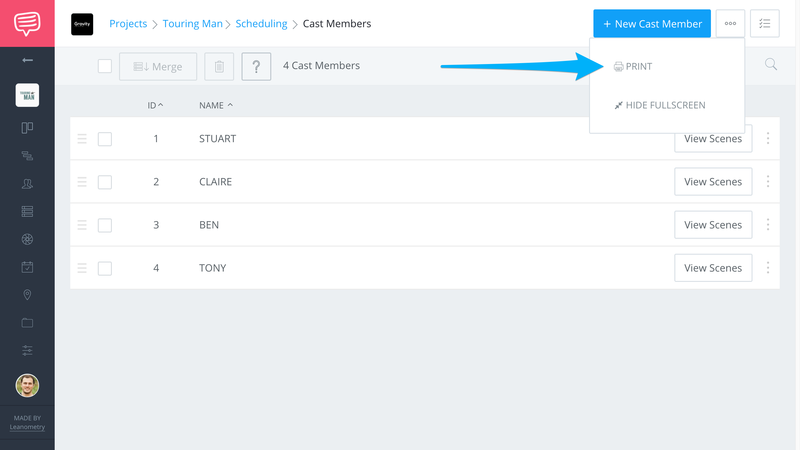 Use the Sidebar's Scheduling menu to access Cast Members. Click the More Icon (⋯) to access more features. In the more menu, click Print Page (🖨 ) to pull up your browser print menu. From their you can print or save as a PDF in Chrome and Safari.